Each side of the sheet is a different color. 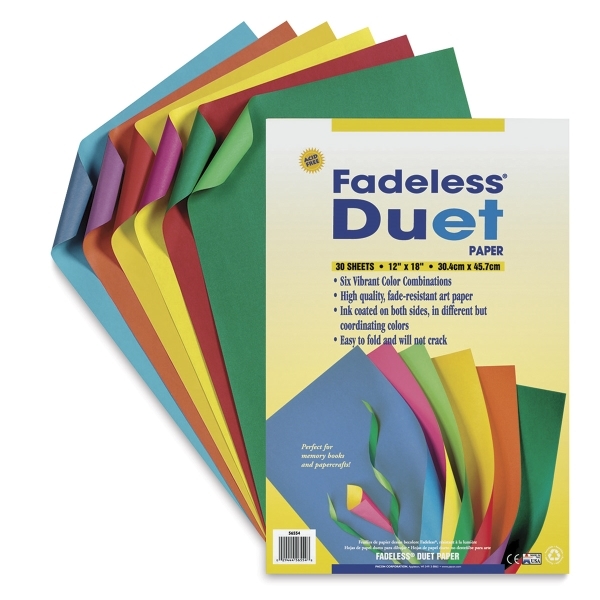 The 30 sheet package contains assorted colors. Each sheet measures 12" × 18" (305 mm × 457 mm), and has a smooth, matte surface.